Friends of the blog have long known – since 2013, to be exact – that material from our Black Gospel Music Restoration Project would become part of the Smithsonian Institution’s National Museum of African American History and Culture (NMAAHC). And now, as the museum is set to open its doors on September 24, 2016, we are excited to offer an exclusive look at how those materials are displayed in the museum’s new Musical Crossroads exhibit. 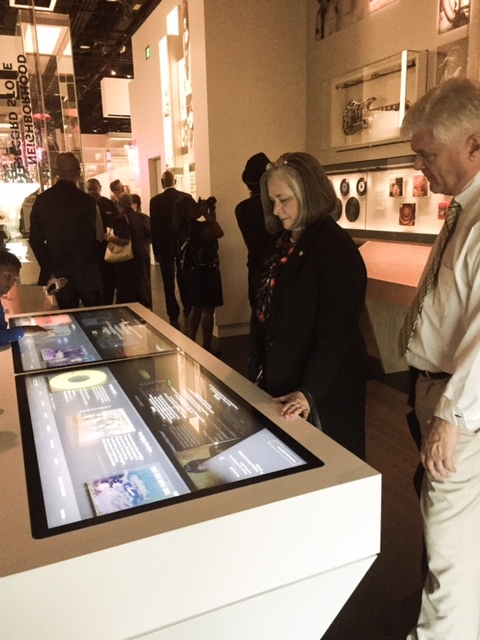 This sneak peek is made possible due to two of Baylor’s own – Dean of Libraries/VP for Information Technology Pattie Orr and Prof. Robert Darden – receiving an invitation to attend a pre-opening event at the NMAAHC on September 17. 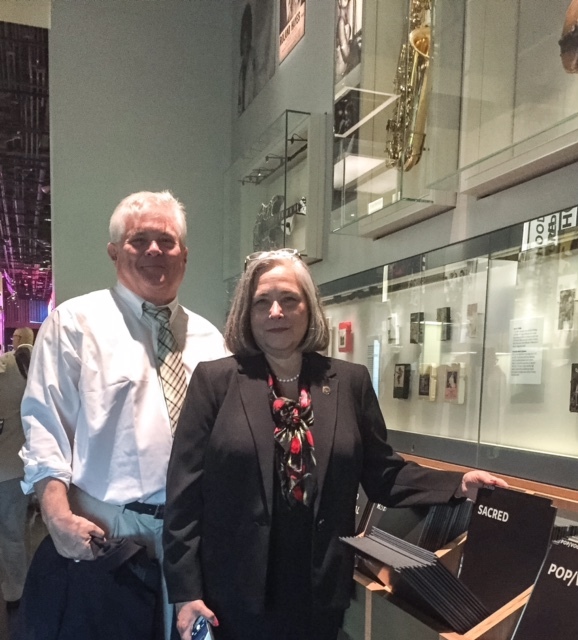 Pattie and Bob were able to see firsthand how the BGMRP materials were integrated into the exhibits, and Pattie’s husband Steve helpfully shared photographs of the exhibit for this post. 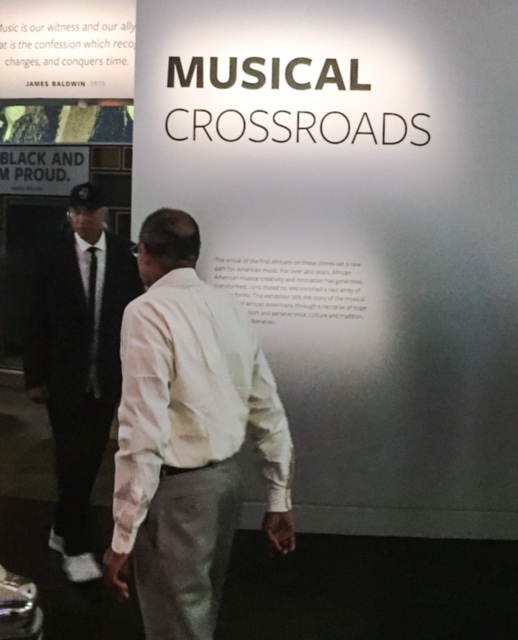 Visitors to the NMAAHC will find the story of African Americans and their culture written in ways large and intimate, personal and cultural, and one of the biggest elements of that story is the way music drawn from the black tradition has had a major impact on American society since the earliest roots of our country. 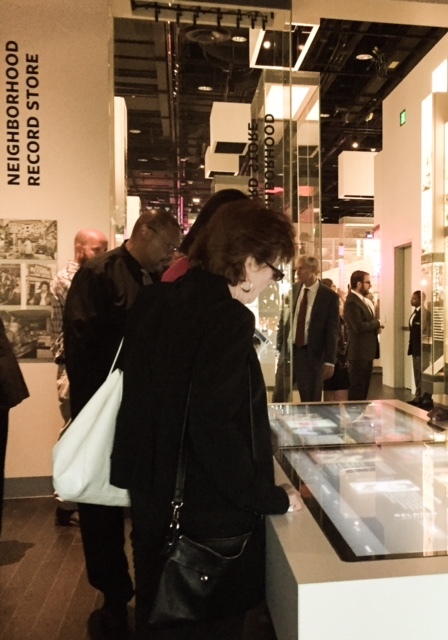 In a section of the exhibit called the Neighborhood Record Store, visitors are presented with a large touchscreen “table” detailing information on the various styles of music embraced by the African American experience. 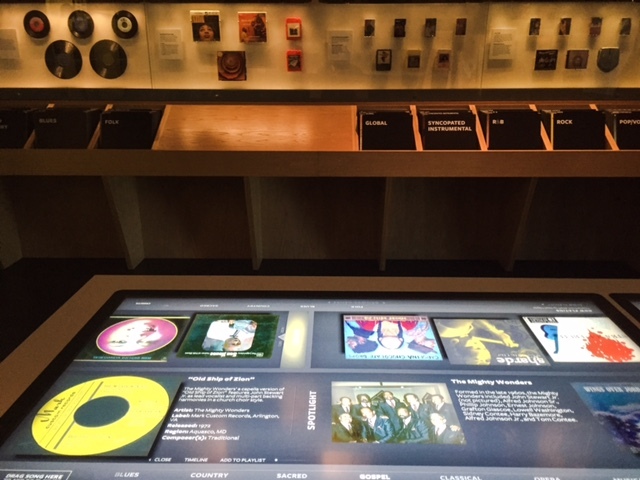 Along the bottom of the interactive are a number of musical genres – blues, country, sacred, classical, etc. – that includes a gospel category. 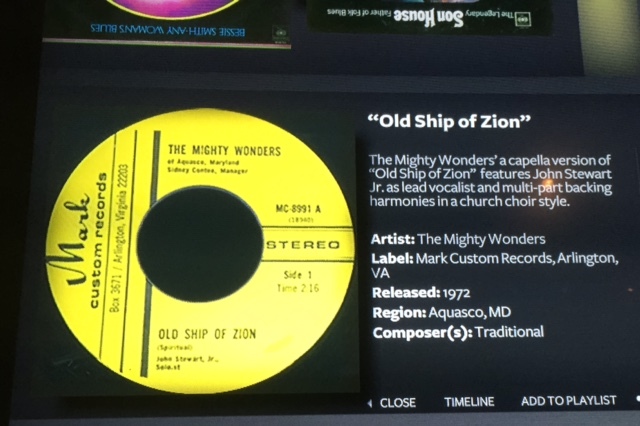 Tapping on that tab will pull up information about The Mighty Wonders of Aquasco, Maryland and their song “Old Ship of Zion,” long associated with the BGMRP (and the de facto anthem of the project). Visitors can then hear a sample clip of the audio of “Old Ship,” as well as view a photo of the group. Also featured in the exhibit are images of album jackets provided by the project. Visitors can browse through “bins” of sample records in various genres, harkening back to the days when record store customers were spend hours browsing through bins filled with the latest releases. After more than four years of discussions, file sharing, digitization, permissions granting and plenty of logistical conversations, it is truly rewarding to see materials from the BGMRP making their big debut at the NMAAHC. 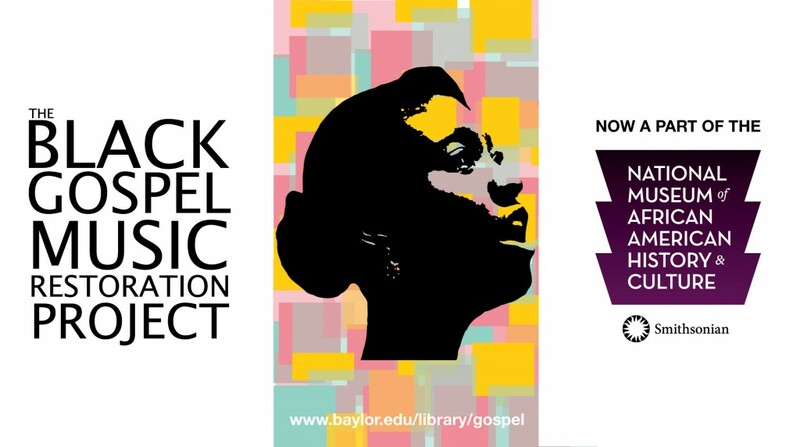 As the project enters its second decade dedicated to collecting, cataloging, preserving and providing access to materials from America’s black gospel music heritage, we are truly grateful to be a part of not only Baylor Nation but, in some small way, the history of the nation itself. Next Post Friday Extra: Why Scream When You Can Shout!